Topo Designs Mountain Duffel is perfect for weekend trips but also for storing and carrying your gear. Make sure to check it out for the next time you decide to hit the road. The first thing to mention when talking about this duffel is, of course, the material. It uses tough 1000d Cordura fabric and ballistic Cordura base, just like for their backpacks. The fabric retains its color and is abrasion resistant. There’s also a coated pack cloth liner for additional protection. 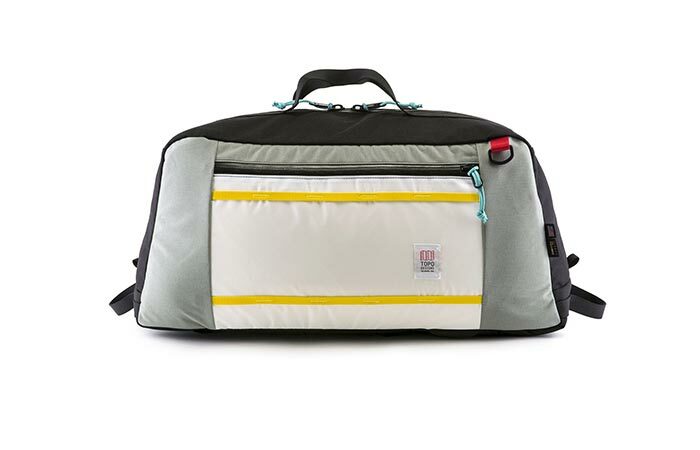 The construction includes heavy duty plastic hardware as well as water resistant YKK zippers. 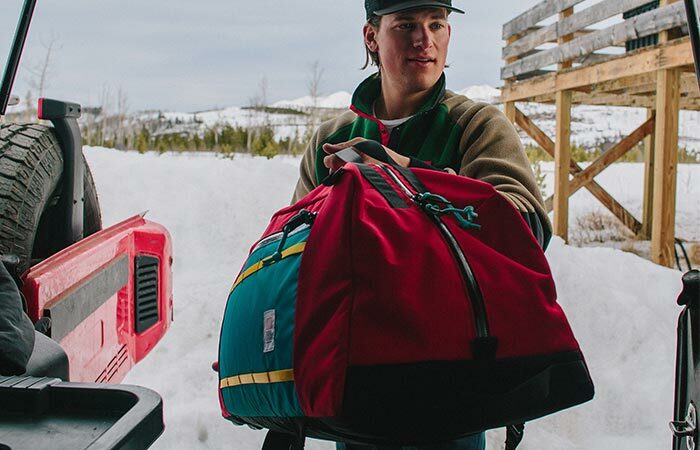 Topo Designs Mountain Duffel is tough, practical and protective. As for the storage, there’s plenty of room inside the large main compartment. You can pack pretty much anything inside of it and the best part- your items will stay well protected. The duffel is also great for organizing your gear. With this in mind, there are small internal and external pockets. For carrying it, you can use both the handles and removable shoulder straps. 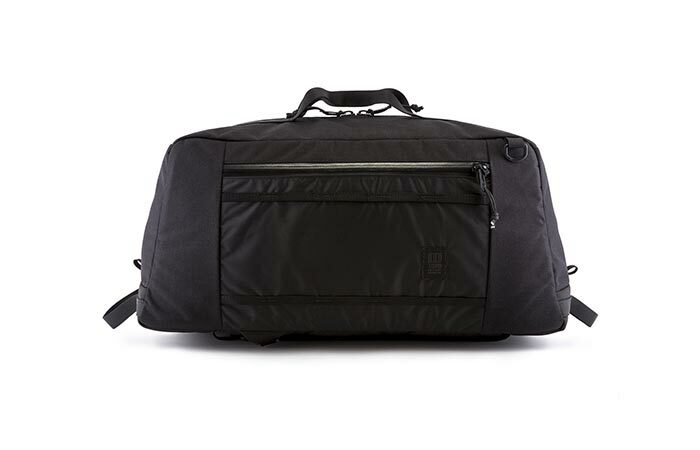 This duffel has handles and straps that make it easy to carry. 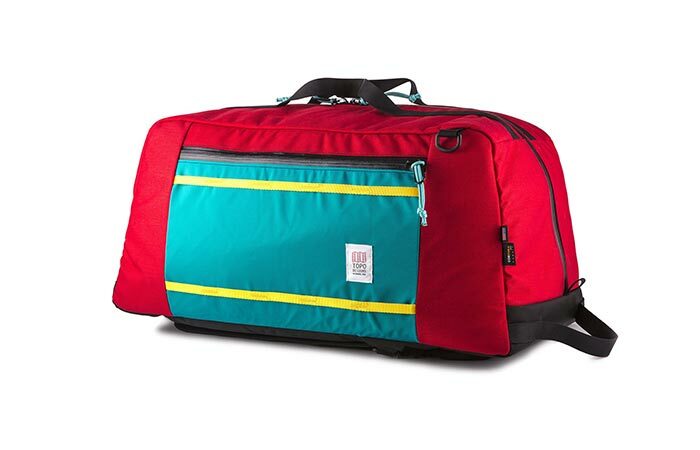 Topo Designs Mountain Duffel has a 61.4L capacity and measures 26 x 12 x 13 inches. It comes in three colors- black, red and grey.